Home › DICO - Who We Are and What We Do? 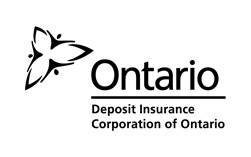 The Deposit Insurance Corporation of Ontario (DICO) is an Ontario Provincial Agency established under the Credit Unions and Caisses Populaires Act, 1994 . DICO’s role is to protect depositors of Ontario credit unions and caisses populaires from loss of their deposits. Deposit insurance is part of a comprehensive depositor protection program for all Ontario credit unions which is backed by provincial legislation. DICO helps keep Ontario’s credit unions safe and sound by providing deposit insurance and regulating their activities. We insure deposits placed in all credit unions in Ontario. 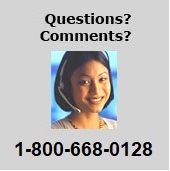 See the list of active Ontario credit unions. Credit unions can go out of business. It does not happen often, but it has and can happen. If your credit union goes out of business your insured deposits are protected up to $250,000. If your deposits are not covered by deposit insurance there is a risk that you may lose them. We only insure certain types of deposits. Protecting depositors is part of our job. DICO automatically insures many types of deposits but, there are some deposits that we do NOT insure. For further details of deposit insurance coverage please refer to the brochure which provides an overview of typical insurance coverage. DICO's website does not automatically gather any specific personal information from you, such as your name, phone number or e-mail address. Such personal information is only collected by DICO as part of the regulatory requirement of an institution to file both financial and non-financial data through its secure site. DICO employs software programs to monitor network traffic to identify unauthorized attempts to upload or change information, or otherwise cause damage. This software receives and records the Internet Protocol (IP) address of the computer that has contacted our website, the date and time of the visit and the pages visited. We make no attempt to link these addresses with the identity of individuals visiting our site unless an attempt to damage the site has been detected. Information on individual visitors is used by DICO employees who need to know the information in order to respond to your request or to ensure the security of this system. We do not use the information to create individual profiles, nor do we disclose this information to anyone. This website is designed to give general information about deposit insurance and should not be relied on as definitive. Actual DICO deposit insurance coverage is based on the records of the insured institution and is governed by the Credit Unions and Caisses Populaires, Act 1994. The purpose of this information is to provide a non-technical explanation of DICO, its role and the insurance coverage provided by DICO. DICO has made every effort to ensure that the information posted on this website is accurate. This website is not intended to provide a legal interpretation of the Credit Unions and Caisses Populaires Act or DICO’s By-laws and Policy of Insurance.